When most people think about their oral health, they usually focus on the best ways to prevent cavities. 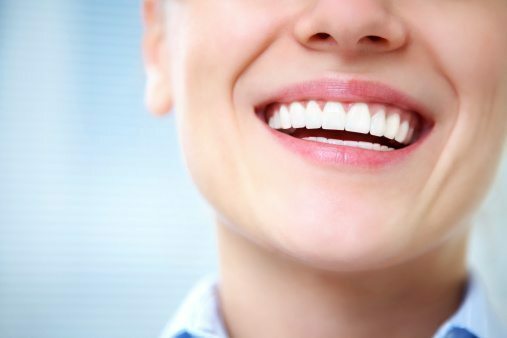 While tooth decay presents a serious risk to everybody’s oral health, maintaining the health of your gums can help to ensure you maintain both your oral and overall health. In many cases, bleeding and swollen gums represent a pretty clear sign of gum disease. However, a number of other factors could cause serious gum problems. Whatever the reason behind painful, swollen, and sore gums, you can take steps to prevent gum discomfort and damage. In an effort to keep your teeth looking their best, you might feel compelled to brush as aggressively as you can. However, your gums are made from delicate tissue that could become irritated or damaged by brushing too vigorously. Whether you choose to you a electric of manual toothbrush, make sure you select a brush with soft nylon bristles with blunted ends. Even though you can find brushes that feature medium to hard bristles, using this type of brush can inflict damage on your teeth’s enamel or cause your gums to become swollen and inflamed. When you do brush, make sure to use gentle, circular motions that clean and massage your teeth and gums. Even though many people fall into the bad habit of brushing with a back-and-forth motion, this can cause irritation to occur, which could result in your gums receding away from the base of your teeth. While most people understand the importance of flossing, study from the American Dental Association have found that 48 percent of the U.S. population fails to floss daily. Failing to floss dramatically increases your risk of gum disease and tooth decay from bacteria trapped between teeth where your toothbrush cannot reach. For those who do floss daily, you need to make sure that this vital habit doesn’t cause bleeding or swelling of your gums to occur. When flossing, make sure you gently slide the floss between your teeth rather then force it, and then carefully slide the floss up and down along the curve of each tooth. This will remove any food particles and bacteria trapped between your teeth, and help to maintain your oral health. In the U.S., approximately three-quarters of all adults 35 and older suffer from periodontal disease, a more serious form of gum disease. While the majority of gum disease cases are of the less severe form known as gingivitis, studies have shown that between five and 15 percent of the U.S. population suffers from the most serious form of gum disease, periodontitis. Failing to practice quality oral hygiene allows bacteria that grows naturally in the mouth to buildup on your teeth. This bacteria can eventually cause gum inflammation, which results in bleeding, swollen, or red gums. For many individuals with gingivitis, the inflammation caused by bacteria results in little discomfort, and when discovered during early stages, gingivitis can be corrected through practicing better oral hygiene. However, when left untreated, gingivitis can become progressively worse and eventually lead to tooth loss. When gingivitis progresses, it develops into periodontitis, a condition that severely jeopardizes the health of the bones and gum tissue that hold your teeth in position. The bacteria that builds up on your teeth slowly releases harmful substances that can damage your gums and cause infection to occur. The resulting inflammation and infection that occurs when your body begins to attack the bacteria can cause the bones in your jaw and the health of your gums to degrade, which results in permanent tooth loss. A number of recent studies have also linked tooth loss as a potential sign of heart disease. While further research is still begin conducted, health experts believe that individuals who suffer from gum disease have a higher risk of also developing heart disease. Whether a cause and effect relationship exists still needs further study, but early findings provide just one more reason why maintaining a healthy mouth remains a vital part of enjoying good overall health.